As you may have noticed, I have a new Put a Ring on Annie logo! I had commissioned this new logo from my friend Joyce Lin, who is a fabulous artist. I would love to formally introduce her to you all in my next post. I wanted to do her justice for doing a great job and for putting up with my demands. 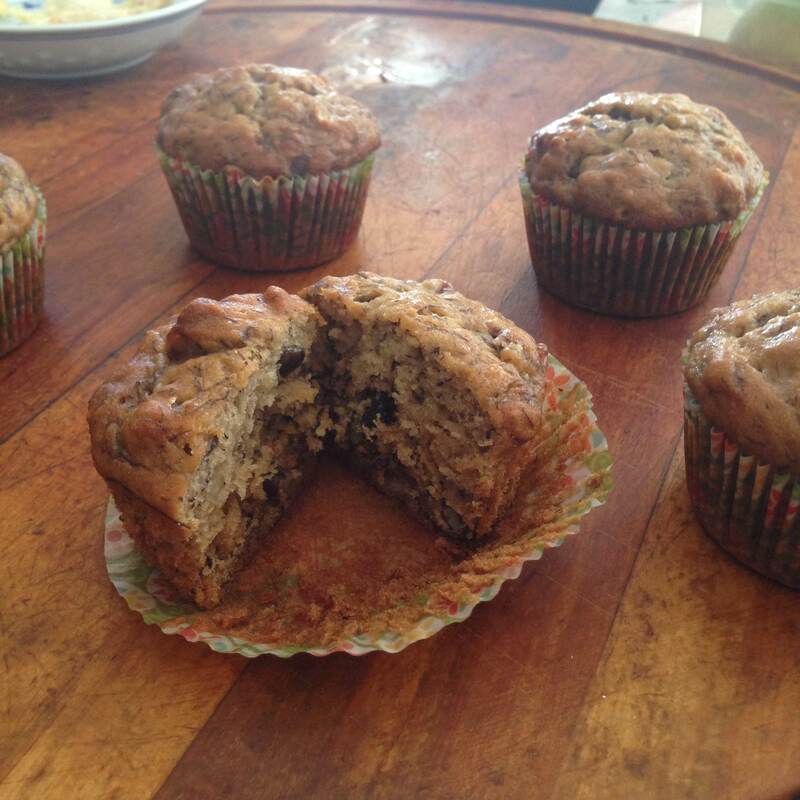 But first, let me introduce you to Banana Walnut Muffins. Bananas are a favorite amongst so many people when fresh, and when they turn brown, they become this intense flavor-bursting specimen. It really takes over the space you are in with its smells. When baked, it’s comforting and warm. Warm is a good word to describe bananas. I am going to use it from now on. 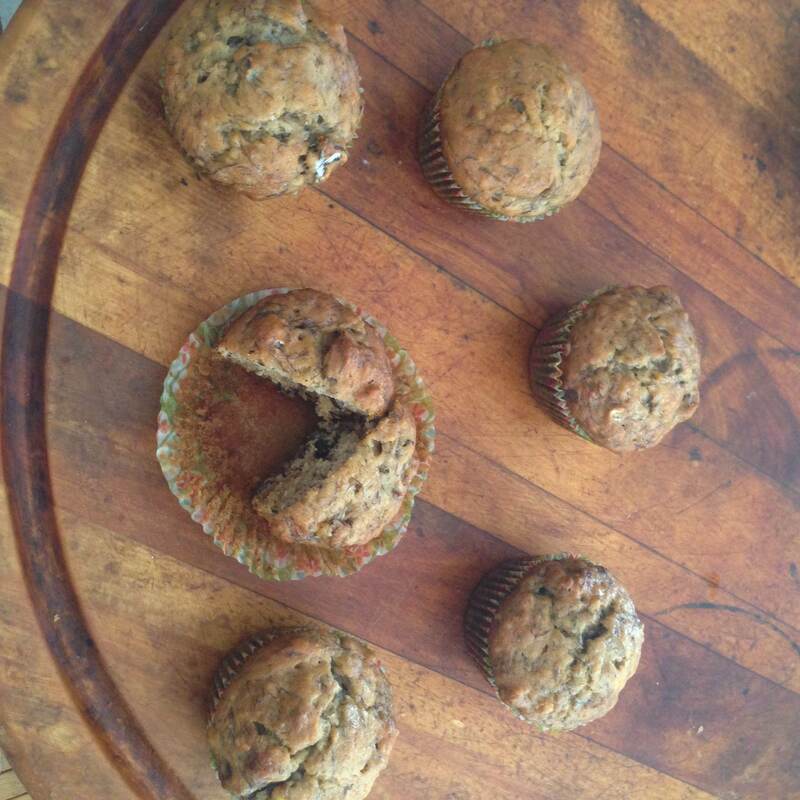 Like I said in my last post about Pumpkin Quinoa Muffins, muffins are an amazing thing – they can be frozen, thawed, and microwaved back to the day it was made. Also, it leaves blackish streaks in your baked muffins which makes it look swirly cool!!! If you haven’t noticed, please notice now – it’s super cool! It can even warm up your hands while you walk to the bus stop. True story – I do this everyday! 1. Preheat oven to 350 deg. 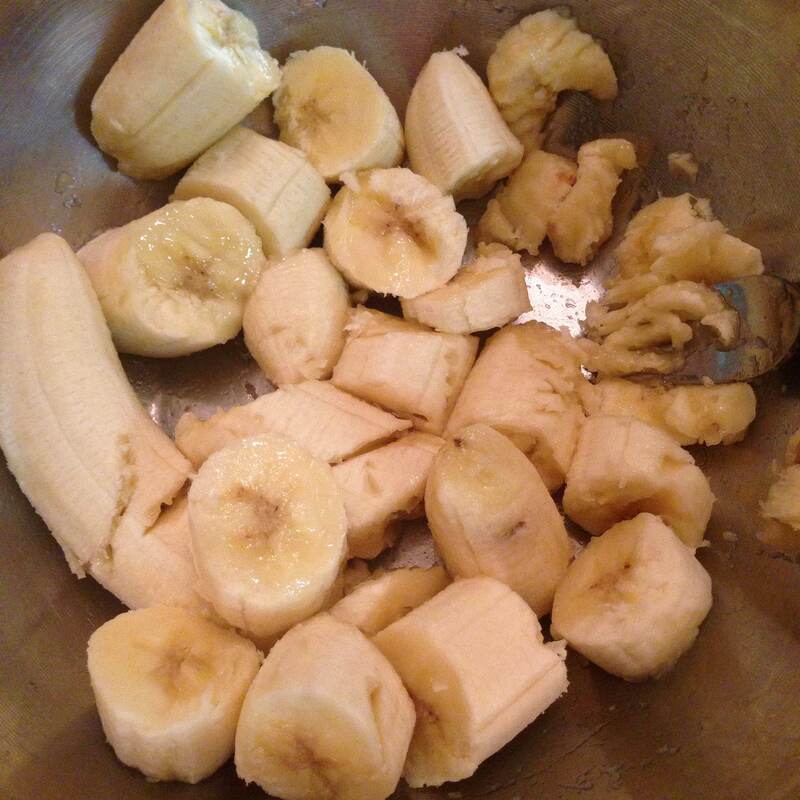 In a large bowl, smash the bananas with a fork. 2. 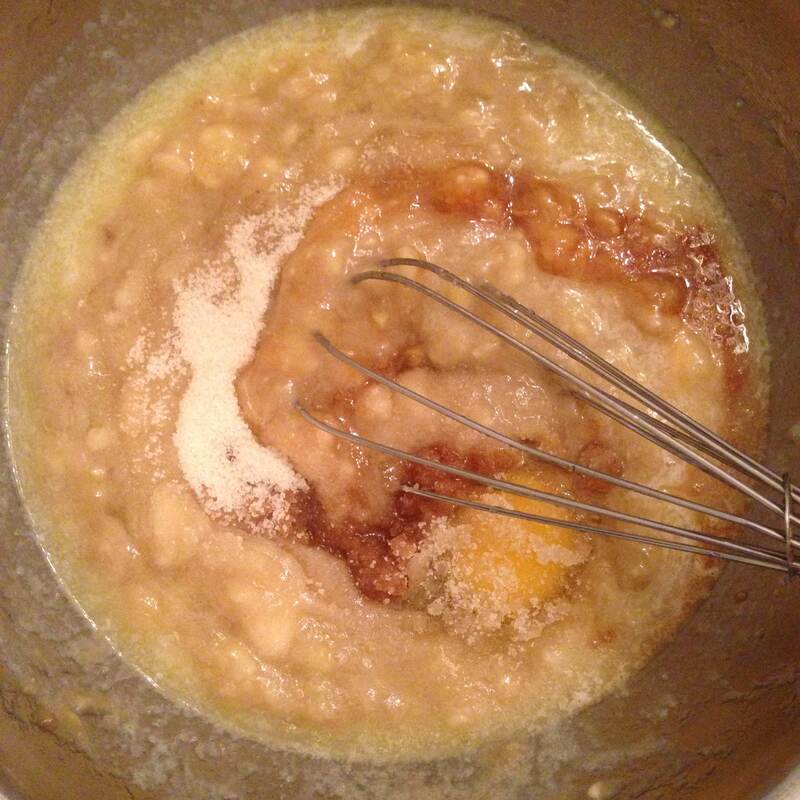 Mix in the egg, sugar, and vanilla. 3. 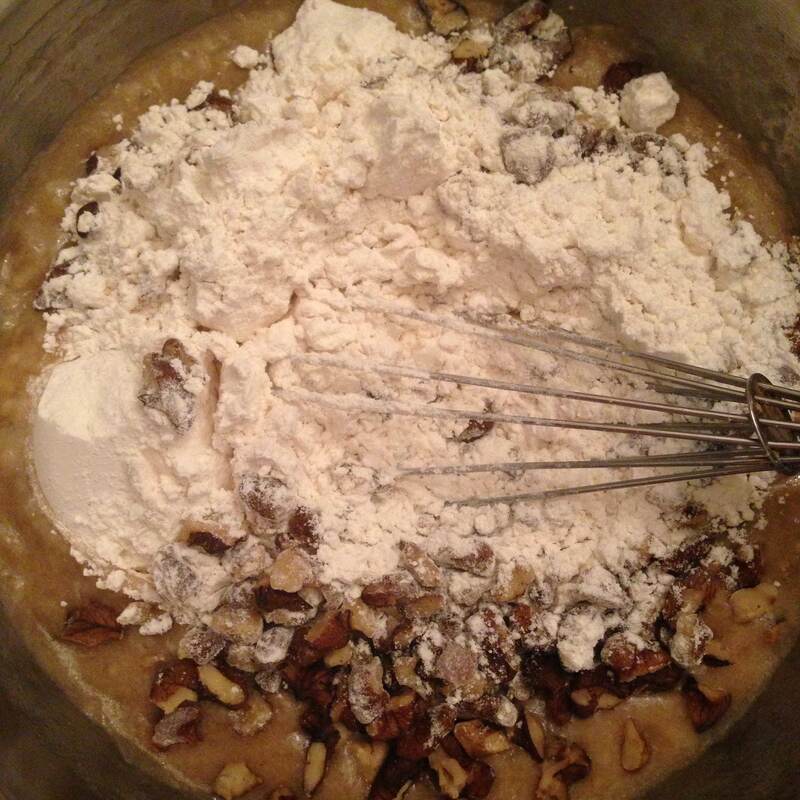 Mix in the baking soda, salt, flour, and walnuts. 4. Line muffin tin. 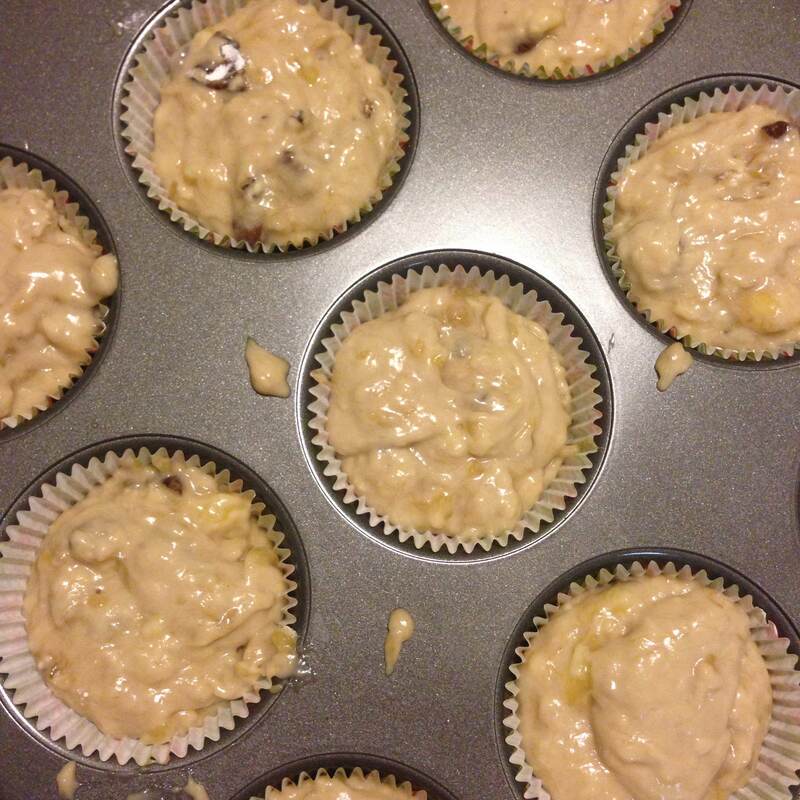 Fill batter halfway in each muffin cup. 5. Bake for 25-30 min, until the toothpick inserted comes out clean! 6. Serve warm, or freeze. Thaw overnight and microwave when needed.